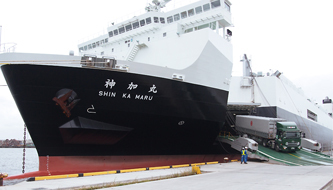 Shipping Agency | Sanriku Unyu Co., Ltd.
To make port calls smooth and trouble-free, captains must skillfully maneuver their ships into and out of the port, obtain inward and outward clearances from the local regulatory authorities in a timely manner, and have their cargo loaded and unloaded efficiently. 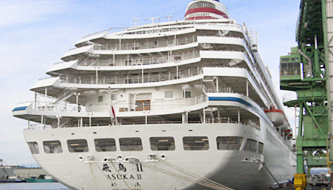 Our teams of staff, who have years of experience in acting as agents for leading maritime shipping companies in Japan and overseas, provide a wide range of shipping agency services. We apply to the local regulatory authorities for inward clearances of vessels on our customers' behalf and arrange for harbour pilots. Our dockworkers load and unload cargo efficiently into and out of vessels moored alongside the wharves. We provide local information to crews to make their stay comfortable. 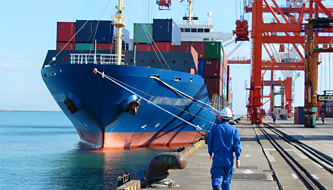 We apply to the local regulatory authorities for outward clearances of vessels on our customers' behalf and forward information to a shipping agency at the next port of call.